Katie has taught elementary, middle, high-school, and college students. She loves meeting new people and talking about writing and books. An author visit with Katie might include a Skype chat with a library book club, trying on Tanzanian clothes and practicing Swahili with younger readers, a slide show depicting the Tanzanian story-behind-the-story for a middle school audience, or an interactive lecture for university students on the craft of writing memoir or young-adult fiction. To contact Katie about organizing an event for your group or organization, please send an email. May 1, 2018, Author visit to CORE Program, Orono High School, Orono, ME. March, 2018, Judge for Mills College graduate and undergraduate Best Young-Adult Fiction Writing Award. April 3, 2017, Radio Interview about Katie’s Washington Post article on youth soccer in Costa Rica, WBAL News Now. February 21-April 4, 2017, Writing Monteverde’s Stories: a six-week seminar in creative non-fiction, The Monteverde Institute, Monteverde, Costa Rica, Time: Tuesdays, 4:30-6:30. September 1, 2016, Author visit to Monteverde Friends School, Monteverde, Costa Rica. April 9, 2016, Cape Cape Author Fest, Cape Elizabeth, Maine, Time: 10am-2pm. April 8, 2016, Author visit to Cape Elizabeth Middle School, Cape Elizabeth, Maine, Time: full school day. April 7, 2016, Author visit to Boston Collegiate Charter School 5th grade, Boston, Massachusetts, Time: full school day. September 8, 2015, Author Visit to Reeds Brook Middle School, Hampden, Maine, Time: 9:30-11:30. July 7, 2015, Author Visit to University of Maine Young Authors Camp and the National Writing Project Teacher Summer Institute, University of Maine, Orono, Maine, Time: 10:30-1:00. June 18, 2015, Reading and Slideshow about Katie’s current project–Om Baby: One American Mother Outsources the Work-Family Balance, Harvest Moon Deli, Orono Artsapalooza, Maine, Time: 8-8:40 p.m.
April 11, 2015, Cape Author Fest, Cape Elizabeth, Maine, Time: 10am-2pm. April 10, 2015, Author visit to Cape Elizabeth Middle School, Cape Elizabeth, Maine, Time: full school day. April 9, 2015, Author visit to Boston Collegiate Charter School, Boston, Massachusetts, Time: full school day. April 18, 2014, Author visit to Winslow Junior High School, Winslow, Maine, Time: full school day. 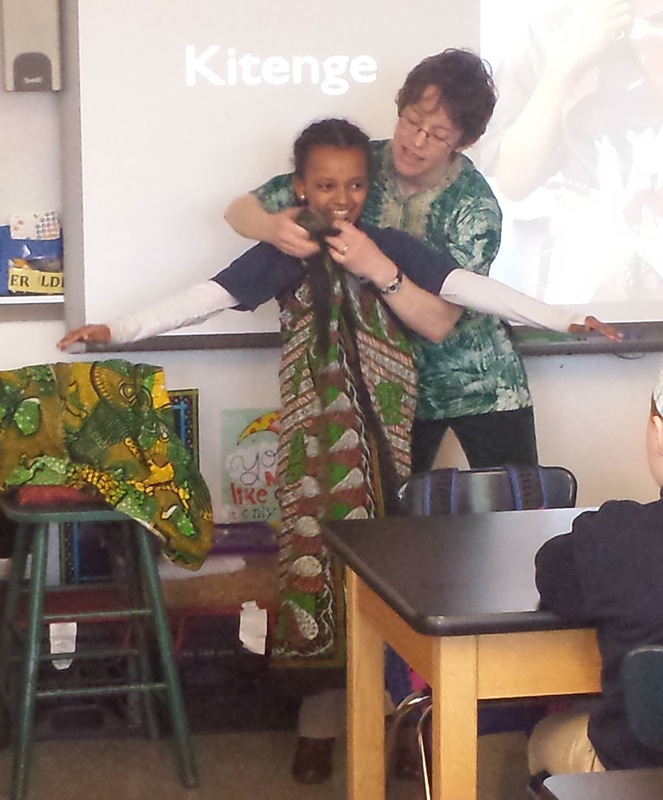 March 6, 2014, Author visit to Asa Adams Elementary School (KG classes), Orono, Maine, Time: morning. February 7, 2014, Author visit at Old Town Elementary School (5th and 2nd grade), Old Town, Maine, Time: morning. January 28, 2014, Talk sponsored by the University of Maine English Department: “Writing Memoir: Finding Your Story, Knowing Where to Begin, and Other Questions of Craft,” University of Maine, Orono, Time: 2-3:30. November 21, 2013, Q&A with Thursday Thoughtful Readers, Orono Public Library, Orono, ME, Time: 3:30 p.m.
October 7, 2013, Alpha Chapter of Delta Kappa Gamma (an international group of women educators), First United Methodist Church, Bangor, ME, Time: 5:00 p.m.
October 5, 2013, Bangor Book Festival, Bangor Public Library, Bangor, ME, Time: TBA. October 4, 2013, School Visit, Doughty Middle School, Bangor, ME, Time: 12:30-1:40. October 4, 2013, School Visit, Cohen Middle School, Bangor, ME, Time: 9:30-10:30. 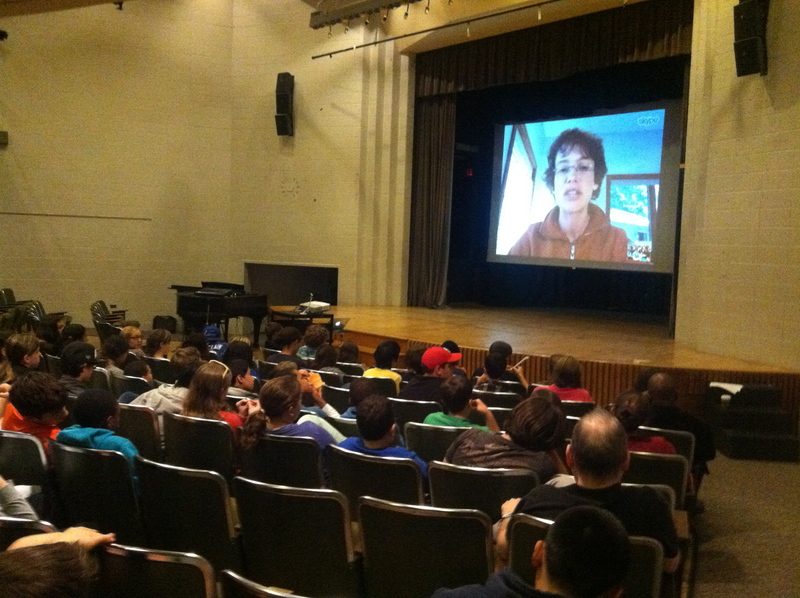 September 18, 2013, Skype Conversation with Friends Select Middle School, 7th and 8th grade assembly, Philadelphia, PA, Time: 10:30 a.m.
August 22, 2013, Reading and discussion of A Girl Called Problem at Auntie’s Bookstore, Spokane, WA, 7:00 p.m.
July 13, 2013, Books in Boothbay Fair, Boothbay Railway Village, 12:30-3:30. July 9, 2013, Presentations to Maine Young Authors and the Maine Writing Project, University of Maine, Orono, all morning. May 30, 2013, Reading and discussion of A Girl Called Problem for mixed-age audience, Orono Public Library, Orono, ME, Time: 6:30 p.m.
May 17, 2013, Reading and discussion of A Girl Called Problem for middle-school-aged readers, Bangor Public Library, Bangor, ME, 3:30-4:15. March, 2013, Judge for Mills College graduate and undergraduate young-adult writing award.